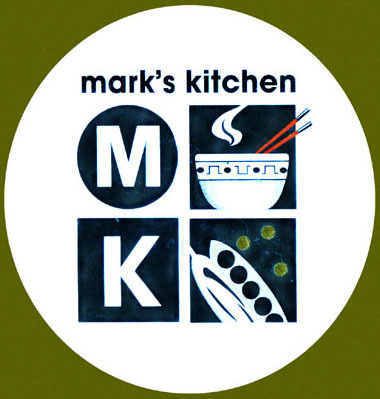 You haven't really been to Takoma Park until you've been to Mark's Kitchen. Since 1990, owner Mark Choe has been providing the Takoma Park neighborhood with outstanding American and Asian specialties in a wonderfully informal and relaxed environment where you can get together with old friends and you can easily meet new ones. With an unusually large number of inventive vegetarian choices mostly vegan) and with an equally large number of meat and fish dishes, the menu at this full-service restaurant is as diverse as the Takoma Park neighborhood itself. To quote one enthusiastic restaurant reviewer, "Mark's Kitchen is a place where vegetarians and carnivores can dine together without losing respect for one another." 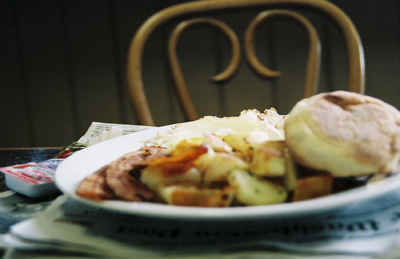 Although Mark's Kitchen is a relatively small neighborhood restaurant, the menu is extensive and varied with its combination of traditional comfort foods and unusual and slightly offbeat selections..
Prices at Mark's Kitchen are modest in line with its unpretentious atmosphere. Sometimes quiet and sometimes hectic, Mark's Kitchen is at the geographical and social center of Old Town Takoma Park's commercial life.